Wanting change is natural. You want to move forward and grow. But how get started or take the next step? The situations we’d like to be different, are often not the easiest ones. They can be difficult or overwhelming. If you’ve worked with me before, you already know that I’m pretty good at breaking the complex down into individual and simple elements. 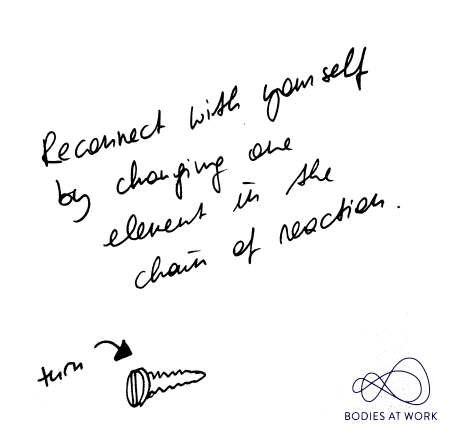 And changing just one element in the chain of reactions will impact on the entire system. 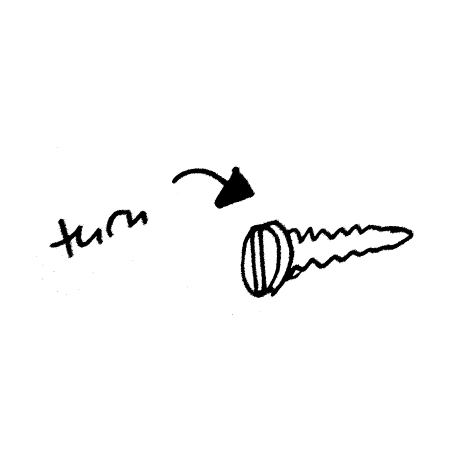 What’s the one screw you can fine-tune to create a different experience and thus a different outcome for yourself? How do I feel in the situation? Where does my attention go when I’m in the situation? How do I feel my body in the situation? What’s my attitude in the situation? What sentences are swirling around your head? How do you see in this situation? Yourself and the others? And then you can choose just one element. And it can be as simple as one tense muscle in the body, the way you breathe, how you feel your feet on the ground. Bring your attention to it, notice how it feels. Intensify what you feel by 5-10 percent so you consciously gain control over this area. And then let go of the efforts. Breathe freely and let your body be. Try it! And let me know how it worked out for you! If you want more detailed instructions on how to do this, you can get the details of this DIY journey with the Stress as a Resource guide here.